Darth Vader, meet David Drees! The 9th Annual Boulder International Film Fest kicked off its opening night with the likes of Darth Vader and Glinda the Good Witch. It’s traditional that the festival begins with a gala, in the past held at the Boulder Theater. This year’s gala was held at not one but two new locations. Filmgoers, sponsors and filmmakers were treated to music and entertainment in the form of Hollywood nostalgia. Actors from the Boulder area brought film alive. Mingling with guests were volunteers costumed as film characters such as Alice’s Mad Hatter and Groucho Marx. Festival co-founder and Executive Director Kathy Beeck said that the Festival was looking for a different approach to the evening and the actors brought the “color and flavor” of Hollywood to Boulder. 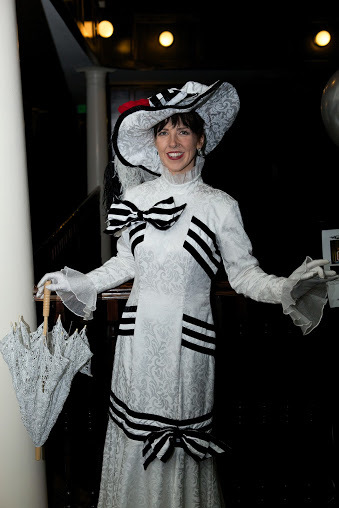 Actress Mary Bevington, a regular BIFF attendee, saw a chance to put her MFA from Naropa to good use and “hopped on the opportunity” to play Eliza Doolittle from My Fair Lady. The Colorado premier of Muscle Shoals, direct from the Sundance Film Festival, followed the gala. The film focuses on the birth of the Muscle Shoals sound in a small Alabama town that became so important to R&B and Southern Rock music. Boulder resident Freddy Camalier directed and produced this moving film that looks at racial hostility and how music can bring people together, regardless of color. The film festival will showcase 47 films between Thursday and Sunday. According to Ms. Beeck, this year’s festival is on track to meet, if not accede, last year’s attendance of 19,000 attendees. BIFF will run through Sunday, February 17th. Tickets are still available. Check out the BIFF website, www.biff1.com, for more information. How many times have you finished a compelling documentary wondering how you could play a part to make change within your own community? 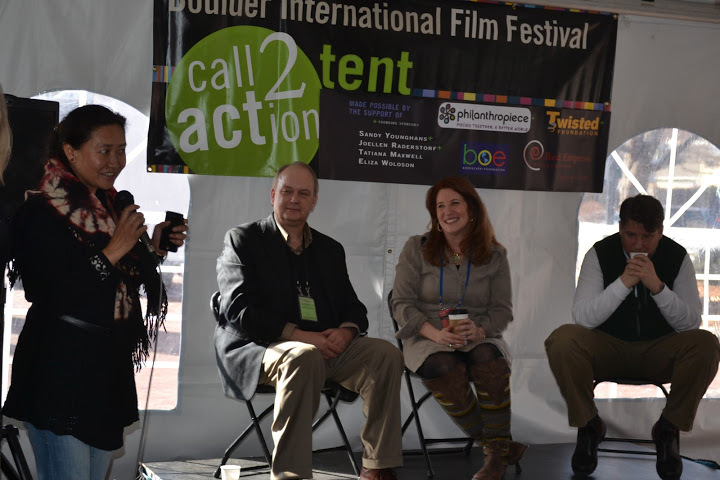 Boulder International Film Festival differentiates itself from other film festivals by filling their marquee with films that make a difference. The Call 2 Action program provides moviegoers with options to utilize the fire these flicks tend to light in their viewers. "Call 2 Action is based around films at BIFF that are more social or environmental-justice issue oriented. 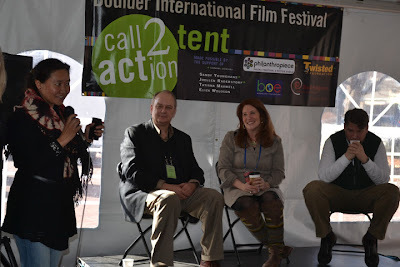 Then we provide an environment after the films for people to come and engage in a panel discussion in the Call 2 Action tent," said Alicia Conte, Philanthropeace Coordinator and Call-To-Action Volunteer. "There's food, a space to talk about the film you just saw and some steps you can take if you want to move from concern to action. Call 2 Action highlights the civic engagement in our local community and gives people the opportunity to act on their concerns." The program has been so successful, BIFF is now creating Call 2 Action toolkits and exporting them to other festivals. "One thing I really like about the festival is the wide variety of community involvement with lots of local businesses, tons of volunteers. I feel like putting volunteers in a position to provide information and host an extended discussion in a Call 2 Action capacity is an excellent use of resources." Erin O'Brien, moviegoer. The snowy streets and everybody-knows-your-name feel helps BIFF stand out from other glitzy, swag-filled festivals by keeping eveyone warm and involved. 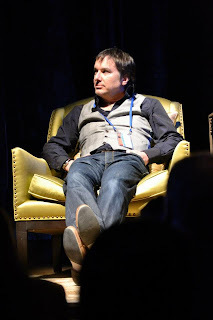 "Rather than swag, we have myriad events for filmmakers, filmgoers, ticket holders and the community to interact. In addition to parties and receptions, the filmmaker lounge allows Call 2 Action filmmakers to connect with interested moviegoers. We look at it as really building community around the film festival," said Crystal Gray, Call 2 Action Coordinator. Boulder is recognized as a community that takes the initiative to better the planet. Call 2 Action at BIFF is just a snapshot of that year-long effort. Learn more about Call 2 Action. BIFF has lots of amazing films and the amazing parties to go with them. 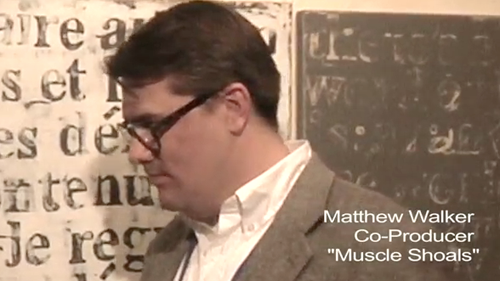 Check out the Opening Night Party video, including on-the-spot interviews with several of our visiting filmmakers.